Following information are only the programs featuring international collaboration between Japan and the U.S. and Canada. To see all the JSPS programs, please visit the website of JSPS headquarters. 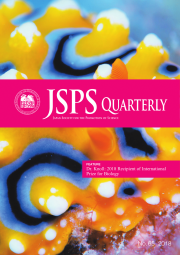 And following deadlines are for the head of host/ nominating institution to submit application to JSPS Headquarters/ counterpart organization; the time frames for applicants (host researchers) to submit their applications are normally earlier. Funding for joint research and seminars carried out between researchers from Japan and other countries. Support for Japanese/foreign researchers, who to visit and engage in research/discussions with colleagues in each other countries. *Applicants must hold a full‐time or equivalent position as a researcher at a university or research institute in Japan that is eligible to receive Grants‐in‐Aid for Scientific Research ‐ KAKENHI. However, there are cases when a researcher not employed in a full time position may be eligible. Support is provided for multilateral collaborations among the seven countries of Japan, Germany, France, the UK, the US, Canada and Russia carried out for the purpose of advancing cross-disciplinary research on global issues rooted in the researchers’ own free ideas. Support provided for dispatching young researchers engaged in international joint research overseas for up to one year in order to develop them into highly competent researchers who will form the nucleus of international research networks; and through their circulation, advance scientific research in Japan. 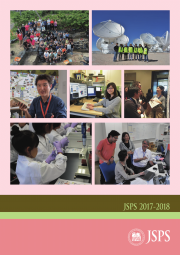 Support for young Japanese researchers to participate in FoS symposiums, where they lodge together and hold cross-disciplinary discussions on leading edge scientific topics with peers from counterpart countries. *Please note that JAFoS Symposium is held biennialy and our call is for researchers affiliated with institutions in Japan. 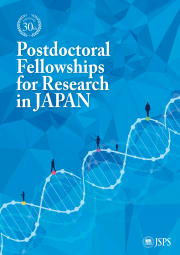 Young pre- and postdoctoral researchers from the US, the UK, France, Germany and Canada are invited to Japan for two months during the summer to participate in joint research at Japanese host institutions. Fellowships to invite excellent overseas researchers to Japanese universities/institutes to conduct joint research under guidance of Japanese hosts. Fellowships to invite excellent overseas researchers to Japan to do joint research, give lectures, hold discussions, etc.. ‘Short Term S’ is designed to invite researchers with distinguished records of achievement to Japan to offer expert guidance and advice. 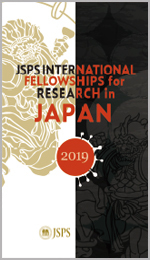 Directed to the members of JSPS’s alumni community, this program provides opportunities for former JSPS fellows to revisit Japan for the purpose of creating, sustaining or strengthening collaborative relations with Japanese colleagues.